Lock in a great price for City Hotel Rembrandt – rated 8.1 by recent guests! Supper location. Nice place. Hotel is really clean and healthy in compare with 95% of Amsterdam hotels. 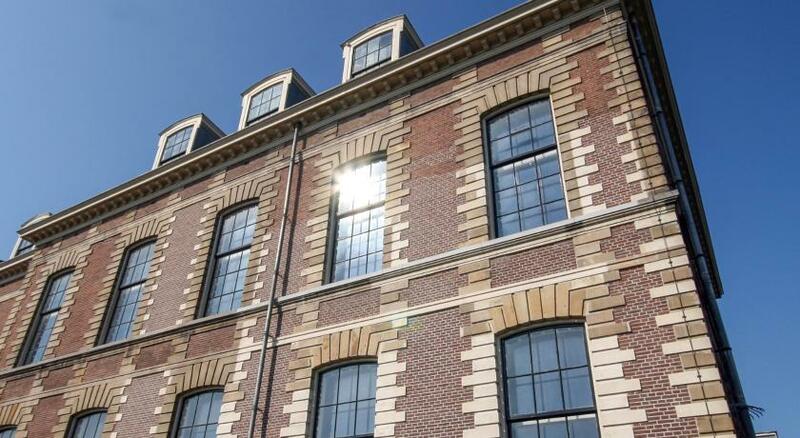 Location is superb as a very short walk from the station and into the old heart of Leiden. Ideal for leisure or business. We were visiting to take my son to the university open day and the hotel was perfect for a short weekend stay. Great location, great comfortable room for the price. Good location, close to the train station and restaurants and a short walk to the university and some of the big museums. The room wasn't huge, but it was clean and comfortable. Staff were very helpful and generally excellent. I really enjoyed the view, the city, the room was a really good value for the money. The staff was really nice. Great location. I am glad I chose Leiden because it's a nice city but not so full of tourists. Our room was small but comfortable. Breakfast was excellent, but a little pricey. 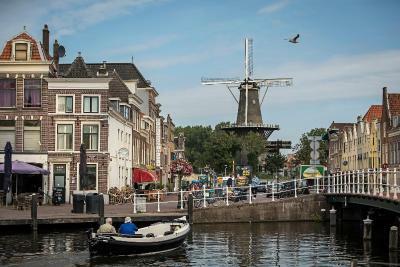 Location was great, right in the center of Leiden. There was a nice terrace and the staff was friendly. Great location - just a short walk from the train station. Easy walking distance from most of the major tourist sites to include canal tours. The room was big which was nice. The location was great. We walked to and from the train depot. The staff was wonderful the breakfast was delicious the bed was very comfortable the room was absolutely clean. Not much. At least there was a bed that wasn't horribly unconfortable. On the bright side, the bed was comfy and the breakfast was rich. City Hotel Rembrandt This rating is a reflection of how the property compares to the industry standard when it comes to price, facilities and services available. It's based on a self-evaluation by the property. Use this rating to help choose your stay! 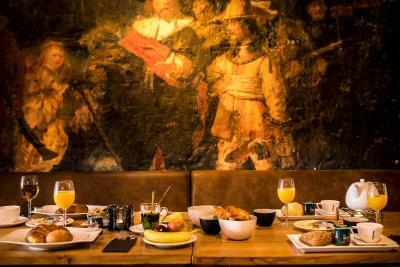 One of our top picks in Leiden.Rembrandt City Hotel Leiden is located in the historic center of Leiden. Explore this lively university city from this comfortable hotel with its well-kept rooms. 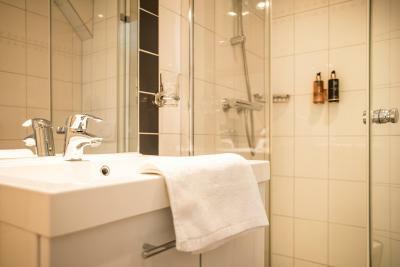 Renovated in 2018, all modern and comfortable guest rooms are equipped with a bathroom. Some of the rooms have a seating area and a work desk. 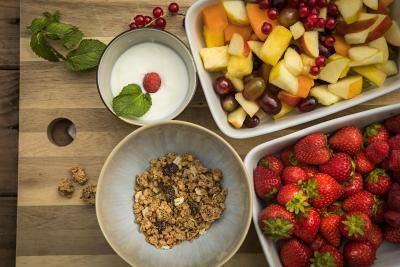 A breakfast buffet is served each morning. 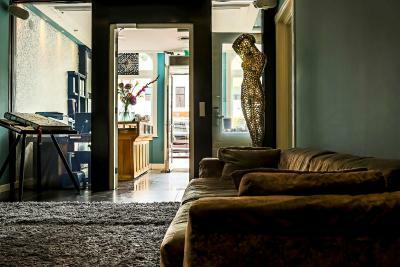 Rembrandt City Hotel Leiden is close to almost everything in this cozy town. You can walk to museums, the main shopping street or Central Station within a few minutes. The university and the famous Rapenburg canal are close as well. Free WiFi access is available in all public area of the hotel. The hotel has 5 free private parking places. When would you like to stay at City Hotel Rembrandt? A bright room with private bathroom. This large room offers coffee and tea facilities for extra comfort. This Family Suite is located in an external building, at a 5-minute walk from Rembrandt City Hotel Leiden. It features a spacious living room, a bedroom with 'Auping' king size bed, a bathroom and a kitchen. The apartment is fully furnished and equipped. There is storage space and the suite is suitable for guests who want to stay in Leiden for a longer period of time. 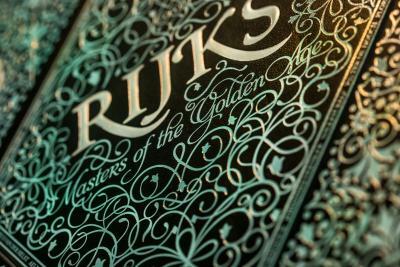 House Rules City Hotel Rembrandt takes special requests – add in the next step! ATM card City Hotel Rembrandt accepts these cards and reserves the right to temporarily hold an amount prior to arrival. City Hotel Rembrandt accepts these cards and reserves the right to temporarily hold an amount prior to arrival. Please note that this property has 5 on-site free parking spaces, subject to availability. 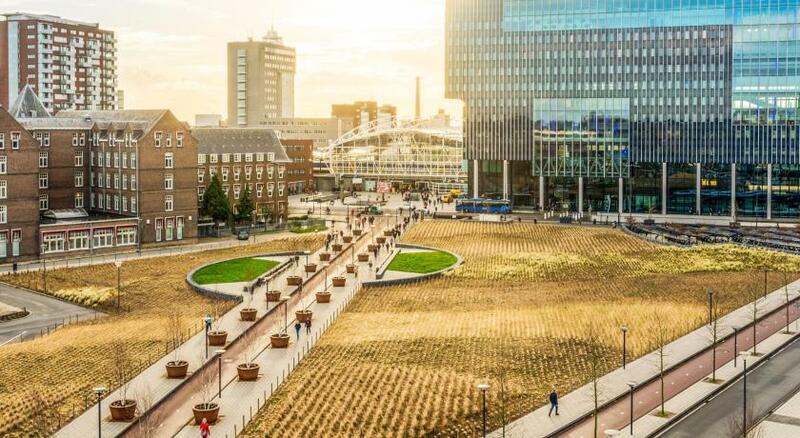 Please note that off-site payed public parking is available at the Haagweg Parking for EUR 6 a day and accessible via the free shuttle service to the hotel. Please inform City Hotel Rembrandt of your expected arrival time in advance. You can use the Special Requests box when booking, or contact the property directly using the contact details in your confirmation. The hair dryer was not very strong, but there is one! Noise from pub across the road late into night. Good location. Clean and comfortable room. The breakfast was good but the room could be improved if the coffee machine was moved to be more accessible. Power cut on one evening and Lift was being repaired on the day we left meaning my elderly parents had to struggle downstairs. There was no notice about this on the lift or before the maintenance started. Bathroom was a bit small. No plug in sink. The hotel was exactly what I had expected, and did not disappoint. Often the pictures on the website do not match reality, this was not the case at the Rembrandt. Loved the design of the hotel. The appartement is at a different location than the hotel, and the breakfest is at the hotel. But it's a 4 min walk so its fine. The stairs to the appartement are very steep, no elevator. The appartement is at a great location. Very pretty and well equipped. Staff was very helpful. Poor storage for clothes. No information in room about anything and wondered how we would find a doctor in middle of night if required as no staff were there overnight. No soap on wash basin and no plug. Poor quality coffee and not good value for money. Running on minimal staff, so limited times to actually see a person. The treatment was nice, it was just that besides breakfast, I hardly saw anyone. Opening the hotel door the first time by App worked well, but to me still feels a bit anonymous (arriving past 7 PM). The TV was almost useless with lots of encrypted, inaccessible channels. Great location, a few minutes nice walk from the train station and with the historical centre just outside your doorstep. Good bed, small fridge in room, modern bathroom with good shower, wifi working well. Lots of restaurants and bars in easy walking distance, also shopping options. With windows closed, quiet room. Good breakfast, similar to what I got in other hotels in the Netherlands. Everything nicely styled and spotless. Very good email contact. I arrived there at 9pm and I stayed outside for ~1 hour. I called the emergency number plenty of times with no answer. Luckily, another guest at ~10 pm let me go inside where I found my key on the concierge desk. I wonder what I would have had to do if that guess did not show up. lovely breakfast and central location.very quiet for middle of town! The kettle was full of scale and dirty, it seemed no one had checked it for a while. There was no desk in the room, which is a problem if you need to work on your laptop or even just lay some things somewhere. There were no usable surfaces, just 2 tiny shelves good for the remote control or a glass. The chair/seat had no backrest. On the other hand, there was a huge mirror placed in the corner of the room, which seemed a waste of space as there is another big mirror in the bathroom. A small desk would be much more useful. 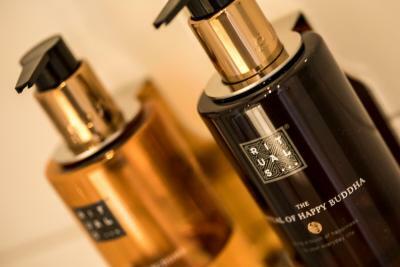 The staff are really friendly, location fantastic, bed divine, shower excellent. Instructions for heating lighting would have been useful.toilet very cramped in shower room. Superb bed. Large and comfortable roomvery good value. Really good location and friendly helpful staff. Great breakfast selection and good coffee. Also boiling water for tea!! Room was very small and the bathroom was a bit chilly. However, everything worked well.